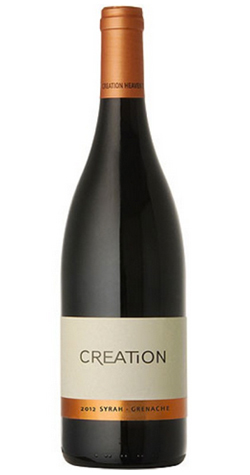 A full-bodied, Rhône-style blend with intense flavors of ripe plum, black pepper, tapenade and umami. Dark purple in color, almost black, with flashes of deep crimson. Alluring aromas of ripe olive elegantly complemented by whiffs of pepper. A well-endowed, full-bodied Rhône-style blend with intense flavors of ripe plum, black pepper, tapenade and umami. Supple ripe tannins and well-integrated, natural acidity contribute to the appeal. Traditional skin fermentation followed by malolactic fermentation in barrels, 2-3 rackings during the 14 months maturation. Rough filtration before bottling. Barrel aging of fourteen months, with 25% new wood and 75% 2nd, 3rd fill.